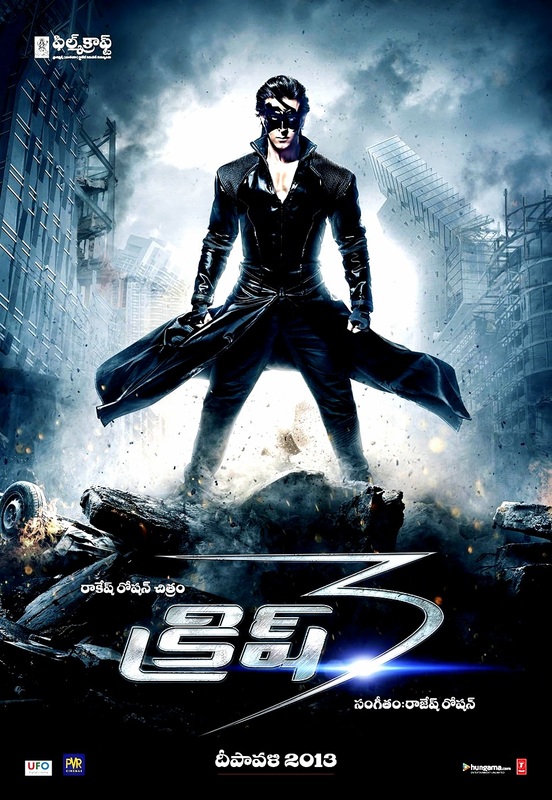 Hrithik Roshan Krrish was a huge hit in Andhra Pradesh. Hrithik’s Dhoom 2 , Krrish did extremely well in Andhra Pradesh. Jodha Akbar did average bizz. Now , most awaited Krrish 3 business closed for Whooping price. Krrish 3 Andhra & Ceeded rights acquired by Janardhan & Kamalakar for 7.25 C NRA. And Nizam rights acquired by Ankith Movies for 4.5 C NRA. On whole Ap Theatrical rights sold for 11.75 C, which is very huge for Hindi Dubbing movie. On other hand it is very difficult to recover if any Telugu Biggie comes for Diwali Season.